April 24, 2019 | 5 p.m. — 8 p.m. 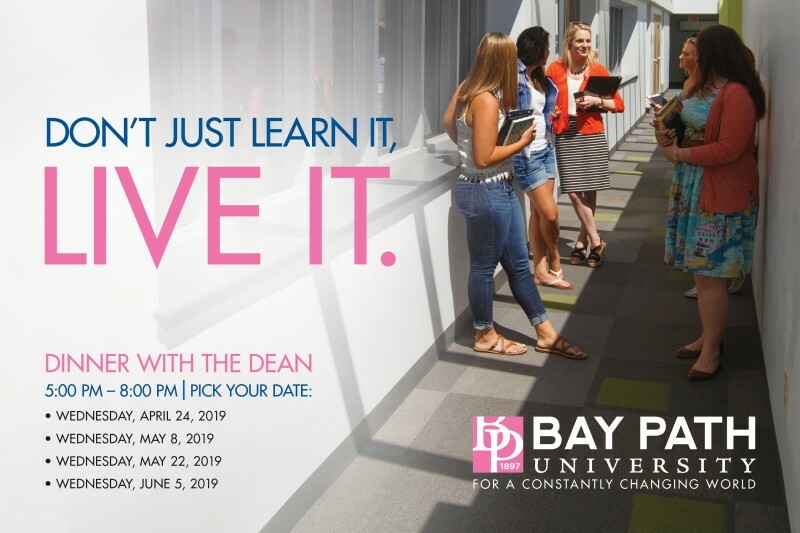 Enjoy a delicious dinner with a University Dean, meet other transfer students, tour campus, and hear about all we at Bay Path have to offer! Receive a same-day admissions decision (once you submit an application) and an on-the-spot transfer credit evaluation. Hear about our Women as Empowered Learners and Leaders program and learn about our exciting Honors, Women in STEM Honors (WiSH), and Women in Business Honors (WiBH) programs!